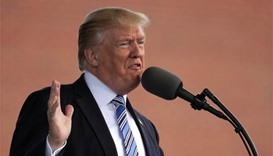 Trump calls discussions about removing him "treasonous"
US President Donald Trump said Monday a top Justice official's reported discussions about invoking the Constitution to remove him from office were part of an "illegal and treasonous" push against him. 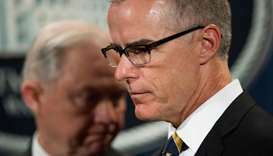 President Donald Trump blasted the FBI Saturday, insisting it acted "for no reason & with no proof" when it opened an investigation into whether he was acting on Russia's behalf after he fired the agency's director, James Comey, in May 2017. 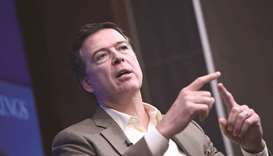 James Comey was fired in May 2017 over what the Justice Department said was his handling of the FBI investigation into 2016 Democratic presidential candidate Hillary Clinton. 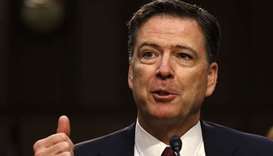 Fired former FBI chief James Comey lashed out at Donald Trump in an interview with ABC broadcast Sunday, calling him "morally unfit" to be president and describing him as a serial liar who will "stain everyone around him." 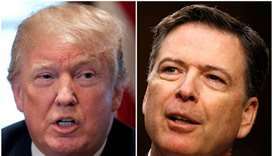 James Comey's book, which is scheduled to be released on Tuesday, was the subject of five of eight tweets sent by the president on Sunday morning. 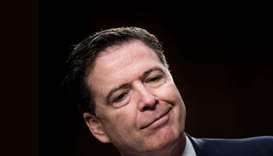 US President Donald Trump attacked former FBI Director James Comey on Friday as a "weak and untruthful slime ball," reacting to news accounts that cited Comey as searingly critical of the president in a memoir due to be published next week. 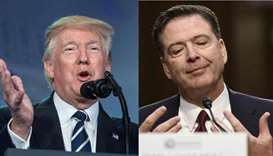 Former FBI director James Comey's forthcoming book has shot to the top of Amazon's rankings, helped by President Donald Trump's repeated attacks. 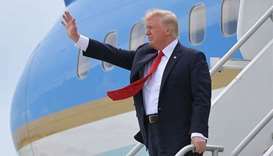 President Donald Trump acknowledged on Friday that he is personally under investigation as part of a widening probe into alleged Russian meddling in last year's US presidential race and possible collusion by his campaign. 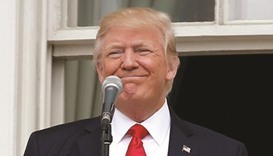 President Donald Trump said he was vindicated and derided James Comey as a "leaker" on Friday after the fired FBI director accused him of lying and trying to quash an investigation into a former national security adviser. 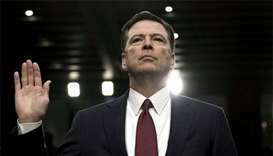 James Comey said on Thursday he was disturbed by President Donald trump's bid to get him to drop a probe into the former national security adviser, but the former FBI director would not say whether he thought the president sought to obstruct justice. 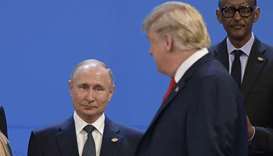 US President Donald Trump defended having disclosed information to senior Russian officials last week, saying he had an "absolute right" to do so and had shared facts to get Moscow to step up its fight against Islamic State. 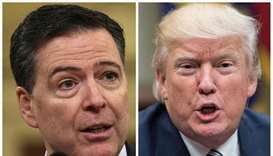 Democrats kept up the pressure on Donald Trump on Sunday over his firing of FBI director James Comey, as members of both parties said the president must turn over any secret recordings of the two men's conversations.